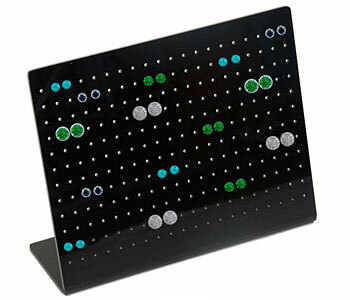 More Color & Hardware Color Options Available! 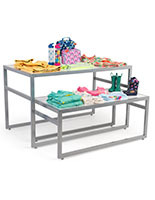 Typical store layouts fall into two categories for leading the customer to the water. 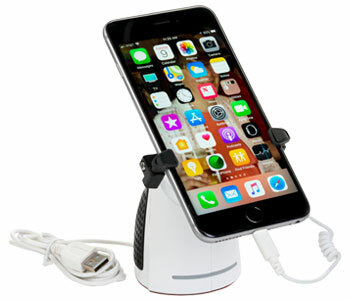 Either you want to make it as quick and easy as possible or you want to expose them to other items before they reach their destination. 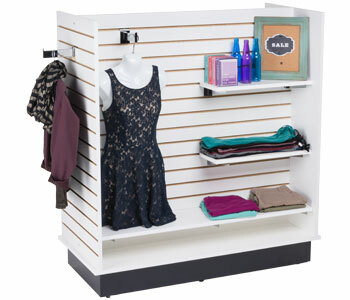 These retail store merchandising solutions apply to both layout scenarios. 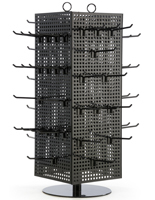 Designed for just about every type of product imaginable, our fixtures and displays offer great variety! 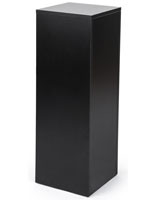 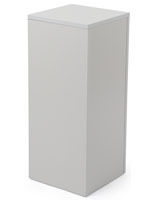 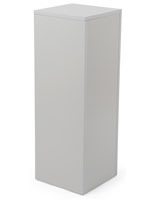 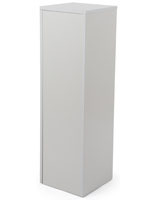 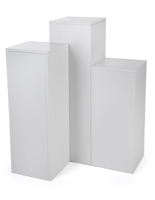 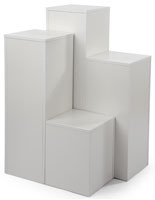 They are available in three main styles: wall-mount, floor-standing, and countertop. 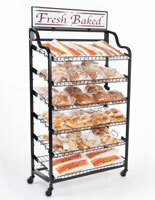 Best of all, most of our retail store merchandising solutions are in stock and ship out the same day you place your order. 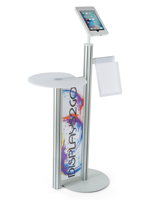 No long lead times, no backordering, just dependable customer service from Displays2go! 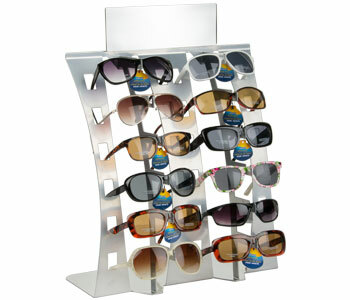 Maximize revenue with strategic product placement or move sale items more efficiently. 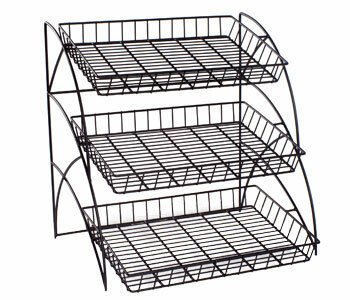 These professional store merchandising solutions are standards of the industry. 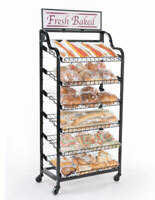 Get your products out in the eyes of potential customers with the perfect marketing fixture for your place of business! 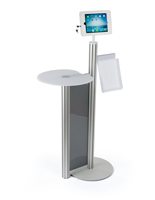 How can these smart retail displays enhance the in-store experience? 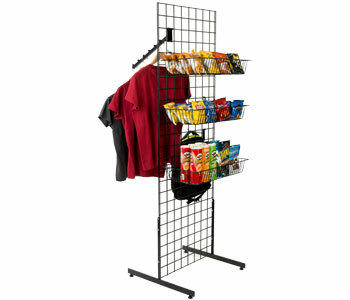 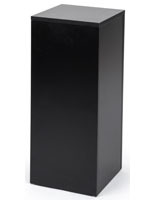 Wall mount merchandising solutions accommodate the most items in terms of quantity. 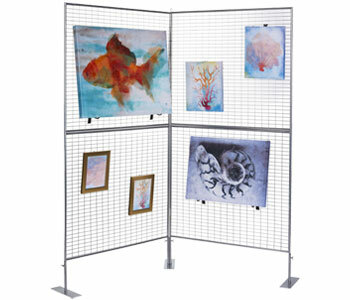 Since they have the ability to run along walls in continuous fashion, this gives retailers ample space for products. 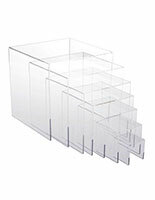 Perhaps the best option is to go with a modular display system. 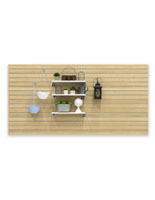 Slatwall features horizontal grooves in which to attach hanging accessories. 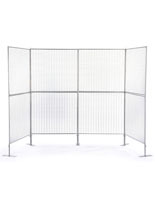 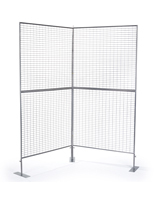 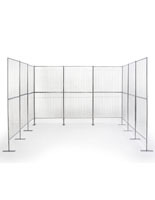 Gridwall offers wireframe construction, yet with more hanging options. 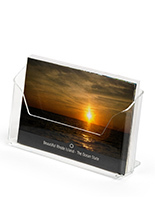 Both styles allow for customized layouts designed to fit your particular size of merchandise. 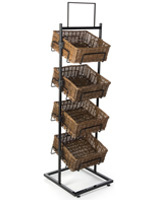 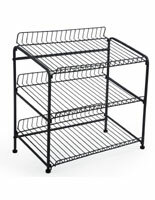 A large number of accessories such as shelves, hooks, bins, and baskets give retailers the tools to accommodate virtually any item. 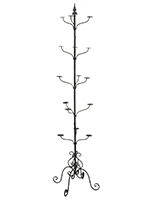 Another style is the clothing outrigger. 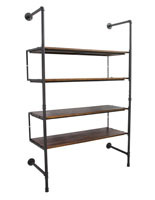 Available in our classic "pipeline" series, this modular system features rustic plumbing pipes and fittings paired with stained wood shelving. 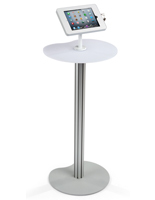 Floor-standing solutions come in all sorts of ways. 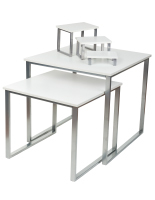 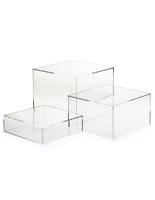 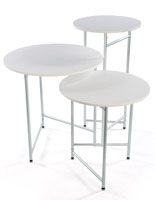 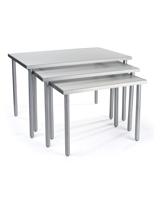 We offer regular and nesting table sets which make great merchandisers at or near shop entrances. 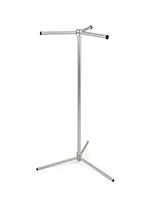 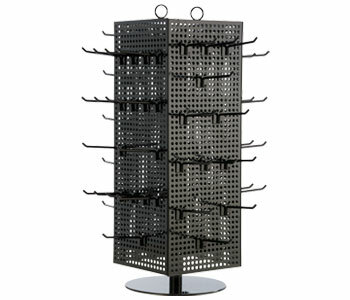 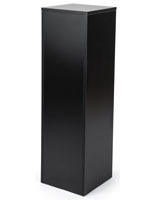 On the other hand, floor stands with either fixed or adjustable shelves are our most popular style. 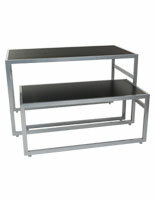 Choose a model with lockable casters and you've got yourself a mobile display. 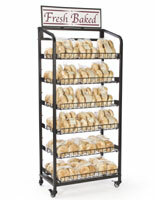 These are perfect for rolling back to the storage room for replenishment, then back out onto the sales floor. 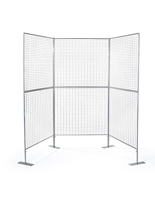 Floor fixtures are also available in slatwall and gridwall models. 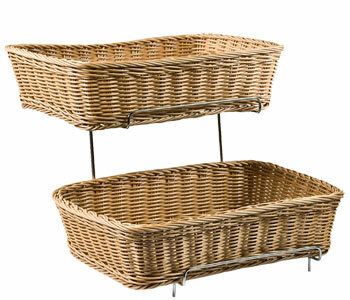 Pairing these with their wall-mounted cousins would make for a smart and coherent design scheme. 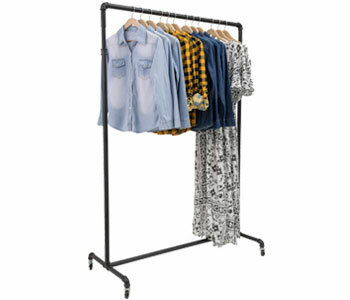 Garment racks are necessary displays for clothing stores everywhere. 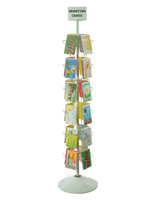 Most come with horizontal bars for clothes hangers but we also stock more stylized displays with spiral bars and waterfall hooks. 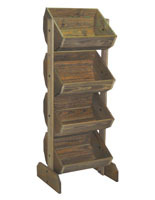 Opt for traditional chrome steel designs or aim for the popular, vintage look with our rustic pipeline series. 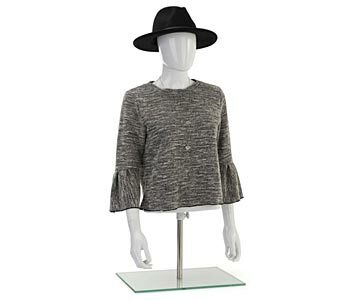 Which leads us to mannequins — most garment retailers can't live without them! 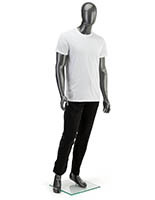 Shop from realistic models complete with makeup, eyelashes, and wigs, or choose to go more edgy and contemporary with a featureless, abstract face. 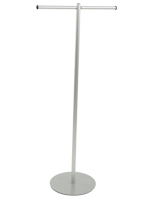 We have mannequins with simple stances or energetic, athletic poses. 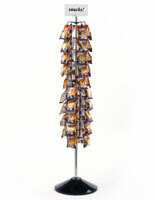 As decoration, they are used with great effect in central groupings right as you enter the store. 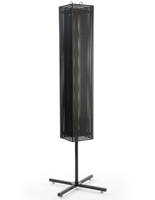 Mannequins are also perfectly suited for storefront window displays. 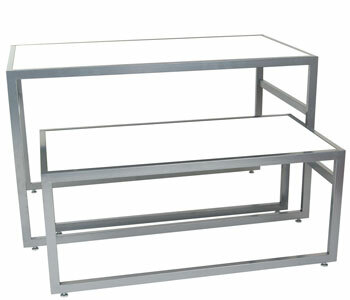 Countertop solutions offer the most choices. 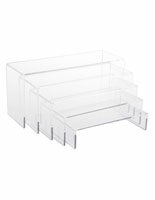 Featuring unlimited ways to display merchandise, these small yet affordable fixtures make excellent impulse-buy displays. 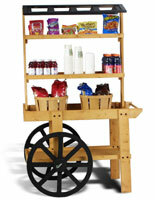 Load them up with souvenirs, snacks, or other smalls near checkout counters to entice paying customers. 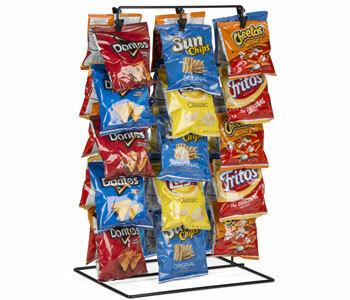 Fixtures such as spinners and clip strips are designed to hold small chip bags and blister packs. 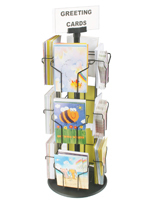 Postcard stands, a souvenir shop staple, can accommodate hundreds of cards via multiple pockets — and do it all inside a small footprint! 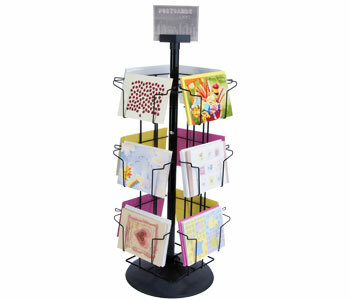 Offer gift cards at the cash register with a spinning rack. 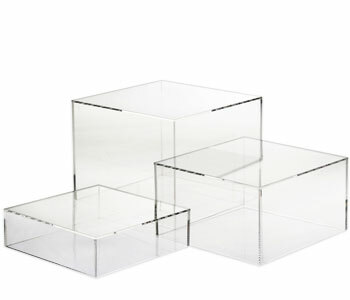 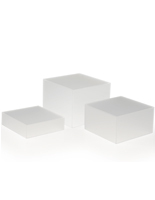 Showcase jewelry on top of acrylic risers for enhanced appeal. 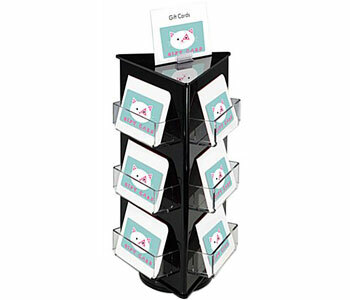 All in all, our countertop stands perform the task of presenting your products effectively and, most importantly, within easy reach. 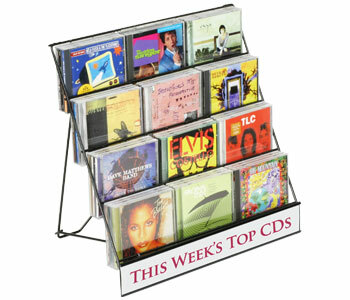 So what is the best display for you, the business owner? 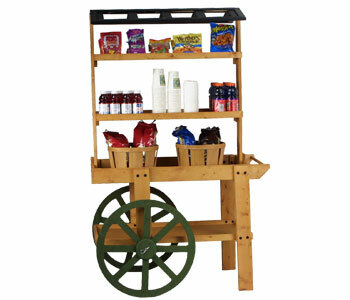 It all comes down to your customer's in-store shopping experience. 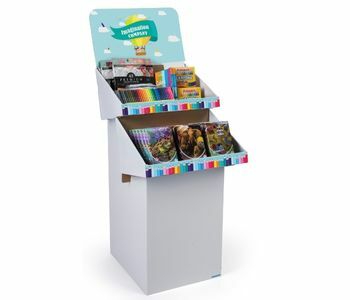 Every retail environment is different, with its own set of unique requirements. 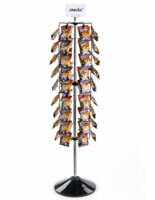 But what is not unique is the common theme of viewing and interacting with the merchandise. 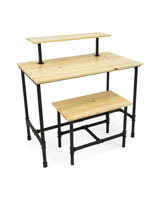 This hands-on approach is still viable in today's "buy everything online" mindset. 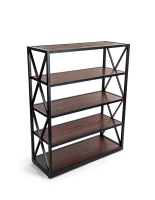 No matter how comfortable purchasing from a computer is, people still need to get out of the house for visual (and mental) stimulation. 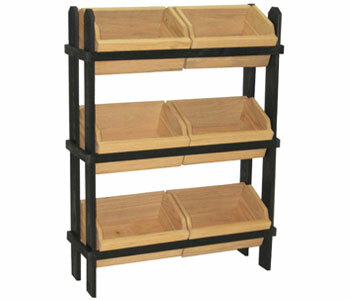 For many, shopping, browsing, and spending at brick-and-mortar stores fills that void. 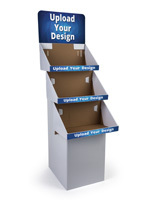 To help them get there, retailers require innovative yet affordable retail display fixtures. 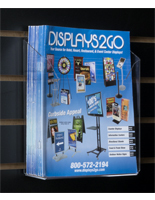 Let Displays2go help you achieve your marketing goals!